Please call this number so that we may assist you as this is the ‘red phone’ in the site office for the festival. 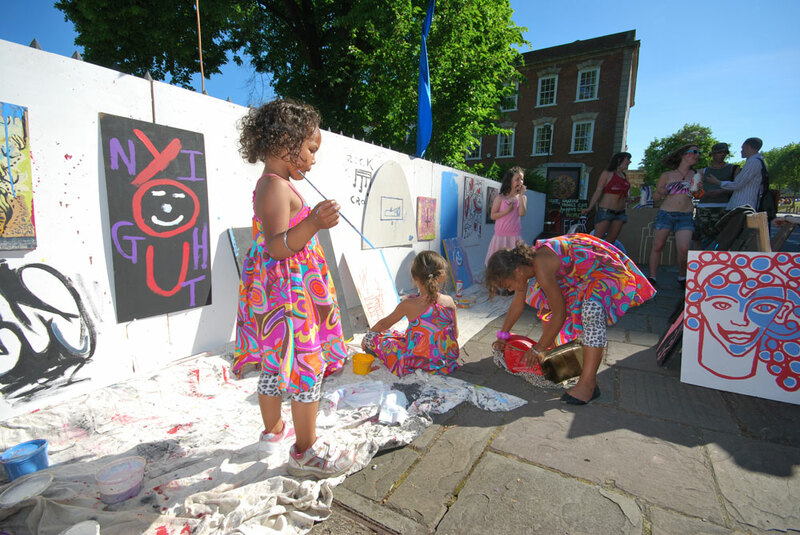 To get in touch email getinvolved (at) stokescroftstreetfest (dot) org (dot) uk or CLICK HERE. Stokes Croft StreetFest 2011 is taking place on May 21 and is organised and run by volunteers who do it for the love, fun and warm fuzzy feelings! We need hundreds of volunteers to make this happen. To register an interest in becoming a volunteer, Click here. I was wondering if it would be possible to have a stall selling costume jewellery I would donate 10% of my takings and of course pay for a table. i have some high power multi colour lasers and use pangolin systems to run them, i can link them to the 2 lasers already in Lakota as well as any others providing they have ilda 25 pin inputs. Hi I wondered how to go about holding a stall selling my handmade t-shirts this year?! Also would be interested in discussing the possibility of designing the t-shirts for you this year as it is a great souvenier for the people of Bristol to take home with them. Sounds great! I’ll email you the contact details of the right people to arrange this now. Do you need jolly music for these days!!!?? VAMOS! wants to sort it out! We are filmmakers that run workshops and record live events. The Butterfly fx have worked at Sunrise celebrations and Southern lights festival .We have our own solar power and tent. Hello. We are putting a house and breakbeat night on in take 5 cafe on 21st May, Free entry! It would be great if you could put a listing in your programme. We are only a small night and if there is a charity you would like us to collect donations for in return for the listing, that would be fantastic. Afraid you missed the programme print deadline but best of luck with the event anyway! The line up is full Im afraid, however we’ll definitely bare you in mind for next year or if there are any drop outs this year. However, there is a busking/open mic area in the Bear Pit… feel free to take your instruments and pop along and play!! We’re still looking for traders so do get in touch if you want to have a stall! my name is Pav, I am an author of the Turbo Island sculptures. I am wondering, if there is a chance to bring some leaflets about my art work.